We pride ourselves on being your source for the best, scientifically-accurate advice for healthy living. This article contains references to scientific journals and peer-reviewed research. The numbers in brackets correspond with the list of references at the end of the article. Additionally, the Reviewed and Approved seal signifies that our scientific board of experts has double-checked this article for accuracy. You can feel confident in knowing that the information within this article is sound. Iron deficiency knows no borders, it's common throughout the world and in all economic classes. According to the World Health Organization, an estimated 30% of the world's population has an iron status that is considered below normal. This may seem like a wildly inflated or inaccurate figure, but healthy adults only store about 3-4 grams of iron in their bodies. 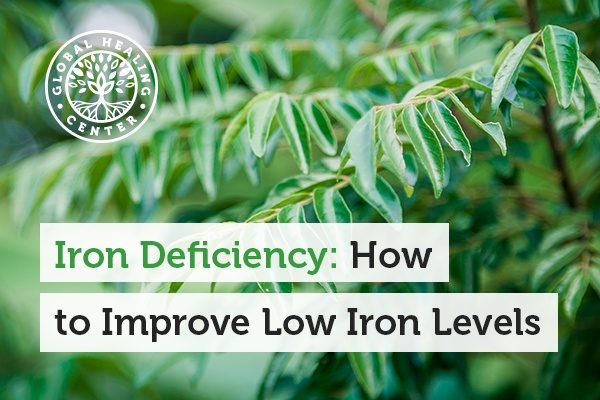 This is an incredibly small amount of this essential element and the loss of just a few extra milligrams every day can quickly add up to an iron deficiency. In much of the developing world, iron deficiency is typically the result of harmful organisms, acquired immunodeficiency, and other health issues. In more developed areas with sanitary water and working conditions, this deficiency is more likely to result from diet, pregnancy, or blood loss. Because of this, iron deficiency can be both a condition itself and a symptom of other conditions. To address nutritional deficiencies like low iron status, a doctor or medical professional must first identify the deficiency and then determine what might be causing it. 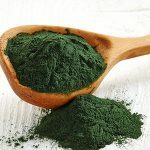 Typically, you would simply consume more of the missing nutrient-for example, from foods rich in iron or iron supplements to make up for the deficiency. Iron is a bit more complicated than other essential nutrients, though. Too little iron is a concern, but high iron levels can be equally troublesome as too much iron can cause oxidative damage. You must aim for iron homeostasis to keep yourself healthy. Iron is regulated and stored in minuscule amounts. The mineral is primarily involved in oxygen transport in several different processes throughout the body. Under normal circumstances, iron is securely attached to proteins to keep it from reacting with other molecules in the body and generating free radicals. The vast majority of iron, about 70%, is stored in your red blood cells in molecules of hemoglobin. Myoglobin and some enzymes account for another 15%. Ferritin and transferrin, which are proteins that store and transport iron, contain the remaining 15%. What's the Difference Between Anemia and Iron Deficiency Anemia? Anemia is a general term that refers to a deficiency in red blood cells (the red blood cell count), or a deficiency of hemoglobin in the blood cells themselves. There are several types of anemias, and iron deficiency anemia is one of them. Since iron deficiency anemia is the most common type of anemia, you often see the condition referred to as simply "anemia" or shortened to IDA. True iron deficiency anemia is relatively rare in developed countries, however. Medical tests are necessary to confirm iron deficiency. A normal hematocrit reading, the number of red blood cells in your blood, runs from 35-50%. You also might have your ferritin assessed to establish how much iron you have in reserve to generate new red blood cells. A ferritin level below 20 mcg/mL indicates an iron deficiency. Iron deficiency anemia is a more severe form of iron deficiency that typically results from prolonged low iron status. With this anemia, your clinician will use blood tests to establish that you have a more severe deficiency that classifies you as anemic. She may order a complete blood count (CBC) to determine how concentrated your red blood cell count is. If your hematocrit reading is exceptionally low, your physician may determine that you have iron deficiency anemia. A very low ferritin level, 12 mcg/mL or lower, also indicates iron deficiency anemia. There is a wide range of factors that influence your iron status, but in the developed world, the top causes are malnutrition or iron depletion. You may not notice you have an iron deficiency until a medical professional runs a blood analysis and sees your hematocrit reading is lower than ideal. Others may experience the classic symptoms associated with iron deficiency anemia. These telling symptoms indicate that you aren't getting enough oxygen to your cells to support normal cellular function and metabolism. Vegans and vegetarians can develop iron deficiencies if they avoid healthy foods like grains, beans, and leafy greens. However, most vegetarians consume more iron and other micronutrients than non-vegetarians. Even with an iron-rich diet, you might inexplicably develop low iron levels. That's because some foods affect its bioavailability. Some foods or nutrients enhance iron absorption, namely vitamin C-rich foods like bell peppers and citrus fruits. Others foods and nutrients bind to the iron in your food during the digestive process and prevent your intestines from absorbing it. Here is a list of the foods and nutrients that inhibit iron absorption. To be clear, you don't have to avoid these foods altogether. Just leave a two-hour buffer between eating your iron-rich meals and the foods listed here. This buffer ensures that you can enjoy your cup of green tea without accidentally inhibiting iron absorption. Maintaining normal iron levels is a delicate balance. Eating a diet rich in the top vegan sources of iron is essential to provide your body with the iron it needs. Even better, nonheme (plant-based) iron absorption is significantly more easily regulated by the intestines. It can increase absorption when you're deficient, or block absorption when your hemoglobin levels are normal and your iron storage is optimal. 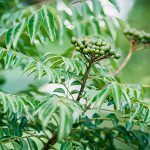 That's why we formulated our new iron supplement with completely plant-based iron from curry tree leaves. Iron Fuzion™ contains the ideal form of iron for you body to address iron deficiency while avoiding iron overload. What dietary changes have you made to correct an iron deficiency? Tell us about your experience in the comments! "Dietary Supplement Fact Sheet: Iron." National Institutes of Health. Web. 12 Apr. 2017. Toh, Shu, et al. "Heme And Blood-Feeding Parasites: Friends Or Foes?" Parasites & Vectors 3.1 (2010): 108. Web. 12 Apr. 2017. Weinberg, E. D. "Exposing The Hidden Dangers Of Iron." 1st ed. Nashville, TN: Cumberland House, 2004. Print. Miller, J. L. "Iron Deficiency Anemia: A Common And Curable Disease." Cold Spring Harbor Perspectives in Medicine 3.7 (2013): a011866-a011866. Web. 12 Apr. 2017. Wians, Frank, et al. "Discriminating Between Iron Deficiency Anemia And Anemia Of Chronic Disease Using Traditional Indices Of Iron Status Vs Transferrin Receptor Concentration." American Journal of Clinical Pathology 115 (2001): 112-118. Web. 12 Apr. 2017. "Anemia." Medlineplus. Web. 12 Apr. 2017. "What Are The Signs And Symptoms Of Anemia?" National Institutes of Health. N.p., 2017. Web. 12 Apr. 2017. 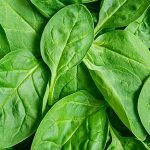 "Iron Deficiency And Hair Loss: The Jury Is Still Out." Journal of the American Academy of Dermatology 54.5 (2006): 903-906. Web. 12 Apr. 2017. Stargrove, Mitchell, Jonathan Treasure, and Dwight McKee. "Herb, Nutrient, And Drug Interactions: Clinical Implications And Therapeutic Strategies." 1st ed. 2008. Print. "Who Is At Risk For Iron-Deficiency Anemia?" NIH: National Heart, Lung, and Blood Institutes. Web. 12 Apr. 2017. Farmer, B., et al. "A Vegetarian Dietary Pattern As A Nutrient-Dense Approach To Weight Management: An Analysis Of The National Health And Nutrition Examination Survey 1999-2004." Journal of the American Dietetics Association 111.6 (2011): 819-827. Web. 12 Apr. 2017. Zielińska-Dawidziak, Magdalena. 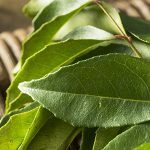 "Plant Ferritin—A Source Of Iron To Prevent Its Deficiency." Nutrients 7.2 (2015): 1184-1201. Web. 12 Apr. 2017. Heme Iron Vs. Nonheme Iron: What’s the Difference?